Dr Grant Tomkinson has a Bachelor of Sports Science (Exercise Science) degree from the University of New South Wales, and a Bachelor of Applied Science (Honours) degree and a Doctorate (PhD) in Human Movement from the University of South Australia. 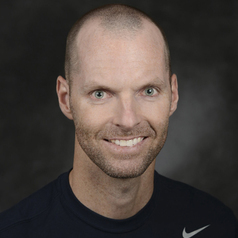 He is a professor of kinesiology and public health education at the University of North Dakota and an adjunct associate professor of health sciences at the University of South Australia. He is the Co-Chair of Active Healthy Kids Australia. His research interests include temporal trends in the physical fitness, physical activity and adiposity of kids, and anthropometry, with a particular focus on the digit ratio and 3D anthropometry. Using historical data on over 75 million young people from 50 countries, his research was the first to conclusively show that young people’s aerobic fitness has in fact declined worldwide since about 1975 and has plateaued (high income countries) since 2000. His research has informed policy at an international level, with contributions to policy in Australia, Canada, and the UK, and to the International Olympic Committee’s consensus statement on Fitness and Health of Young People through Sport and Physical Activity. He is a Young Tall Poppy Science Award winner.